Washington, D.C., August 15, 2018 – U.S. nuclear war plans during the Johnson administration included the option of a retaliatory strike against nuclear, conventional military, and urban-industrial targets with the purpose of removing the Soviet Union “from the category of a major industrial power” and destroying it as a “viable” society. This is one of the disclosures from a Joint Staff review of the Single Integrated Operational Plan (SIOP), obtained via a Mandatory Declassification Review request by the George Washington University-based National Security Archive and posted on our site today. Another recently declassified document the Archive acquired through MDR includes a telling feature of U.S. plans during the Johnson administration for advance authorization of nuclear weapons use. In the event the Soviets launched a surprise attack and the U.S. president was missing in action, U.S. strategic forces would launch a retaliatory strike against the entire Sino-Soviet bloc – except for Yugoslavia. 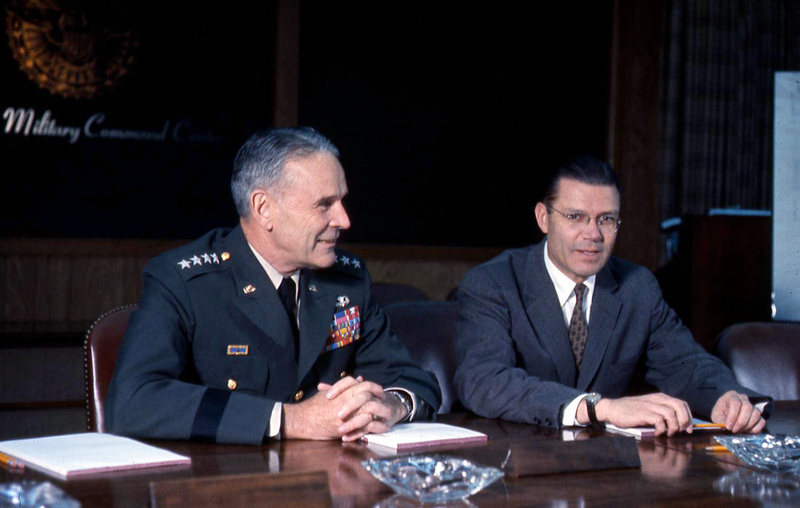 This posting is the Archive’s latest on the history of the SIOP, the concept of “overkill,” and U.S. nuclear weapons strategy generally.